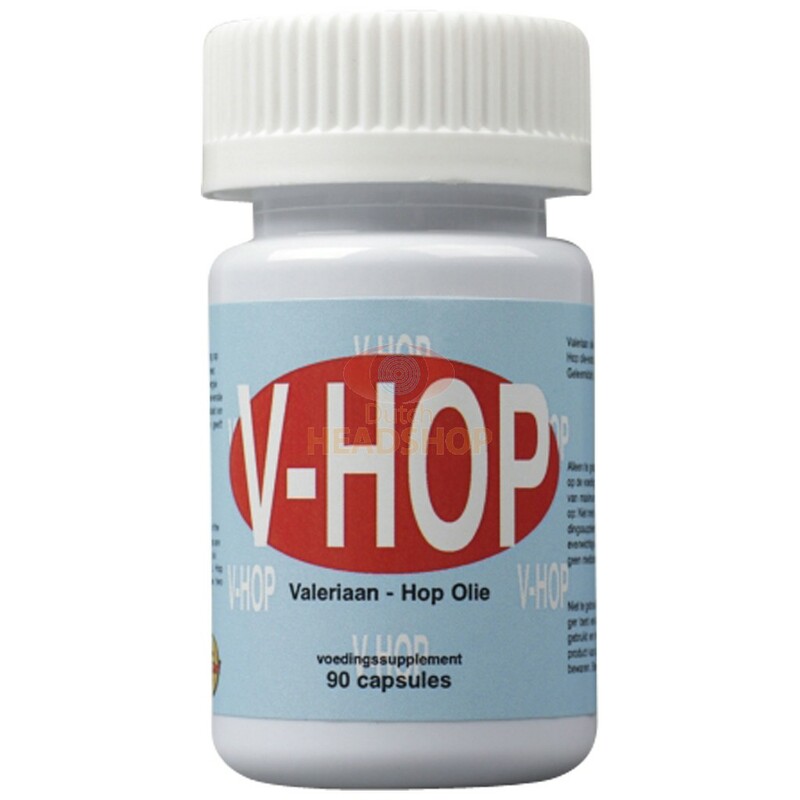 A food supplement containing Valerian oil extract and hop oil extract, that is the V-Hop Valerian capsule. Known for the calming effects on body and mind. Many people can sleep much better thanks to V-Hop. It reduces the restlessness and the pondering which helps you fall asleep. It also contributes to your overall mental and physical relaxation. A V-Hop capsule can best be used with a large glass of water or fruit juice. Maximum two capsules per 24 hours. This should not be exceeded! 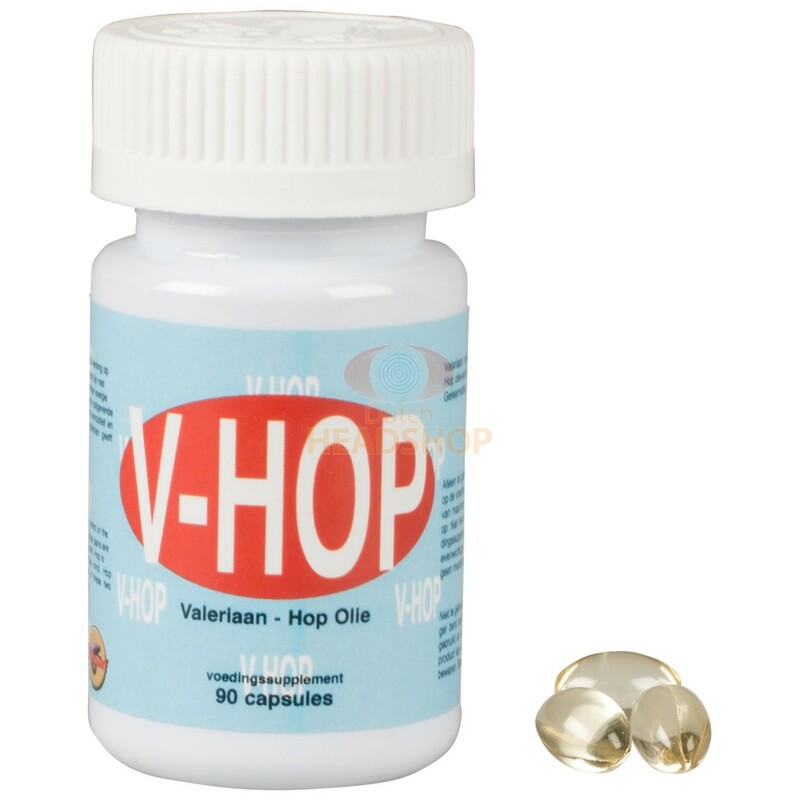 V-Hop Valerian capsules is a food supplement and contains valerian oil extract and hop oil extract. Valerian oil that is used in this V-HOP Valerian capsules from McSmart are known from their calming effects on body and mind. Valerian (valeriana officinalis) is a powerful plant with a relaxing and calming effect. It can alleviate stress and contribute to a good night’s sleep. These good characteristics come from an extract, derived from the root of the plant. Hop is a plant known as the conserving- and flavoring agent in beer. 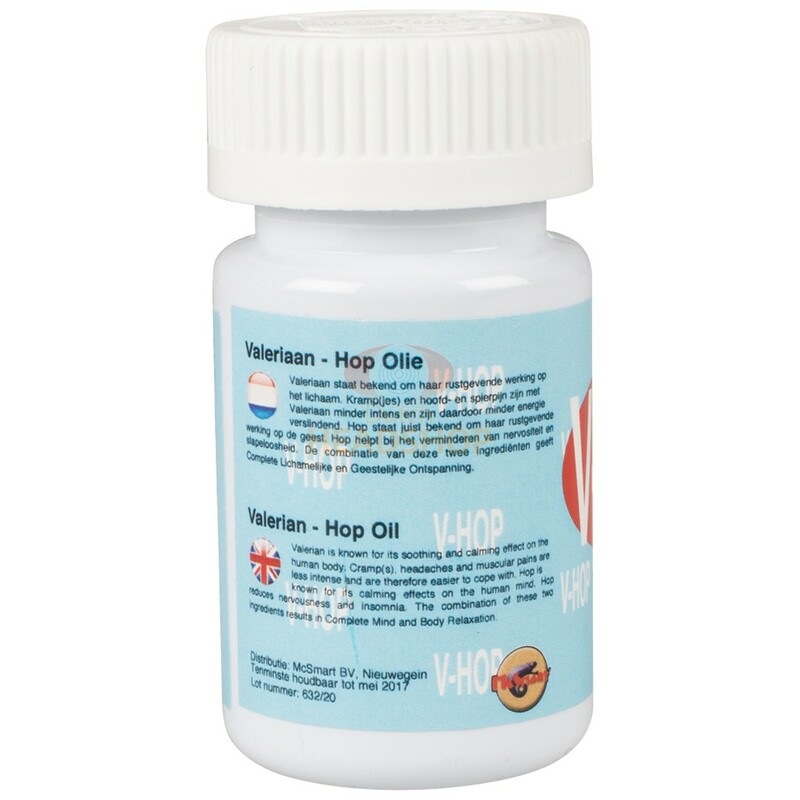 What many people do not know is that the extract from hop has a calming and sleep-inducing effect. Hop extract contains, amongst others, lupulin which has a phytoestrogen effect. Hop reduces restlessness and doubting, which helps to fall asleep. The combination of valerian and hop in V-HOP Valerian capsules positively contributes to a total relaxation of mind and body. Use: Take 1 Capsule of V-Hop with a large glass of water or fruit juice. Note: don't take this with milk or protein-containing drinks. After about half-an-hour the relaxing effect on body and mind is noticeable. Take a maximum of 2 capsules per 24 hours, do not surpass this dose. packed in a pot with child-resistant closure. Do not use when you are pregnant or want to become pregnant, when you give breastfeeding or by persons under the age of 18. Do not combine with MAO inhibitors. There are no known side-effects known about this product. Only use V-HOP Valerian capsules Hop Oil (McSmart) in consult with your doctor or general practitioner if you have been prescribed sedatives, medication to control weight or any other products that can influence the levels of serotonin.